Flat Rate Shipping:1pc or 10pcs Same Price. For jewelry items this can be easily glued into a setting. You can make a pendant or a pin depending on the type of setting you choose. We offer quite a few settings here on the web site. It is important that you pay close attention to the size of the cameo. 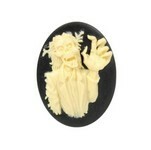 This is a 40x30mm cameo and it will fit in a 40x30mm setting. 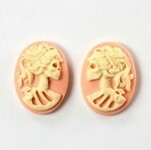 We also offer this same design on a smaller 25x18mm size and as matched pairs in an even smaller 18x13mm size. Please make sure you are ordering the size you want and choosing the correct size setting to go with it. 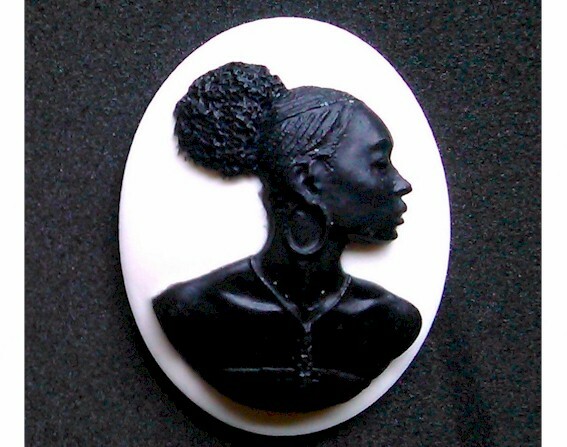 This is our own custom cameo of an African American woman. "All rights reserved"
Black woman seem to be very difficult to find as subjects on cameos. 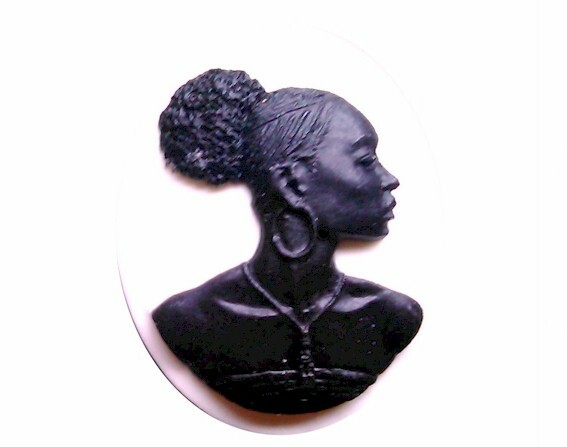 At the request of some of our customers, we have created our own custom cameo of an African American woman. I hope we have done her justice. "All rights reserved"